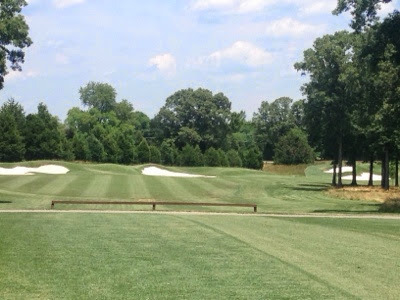 Here is some information about the fairway program at the Foundry. We overseed our fairways during September each year to provide nice playing conditions for a longer time frame throughout the year. Each year the Bermudagrass goes dormant (brown) during October. It stays dormant until May. The overseeding allows for a nice greens canopy for the golfers to play from along with adding some recovery from divots. Since divots can be filled with sand and seed. The fairway transition has been slower this year than the last 4 years. This is something that we can not fully control. The Foundry golf club has set its foundation for providing the best playing condition for its members and guest for our golfing season. 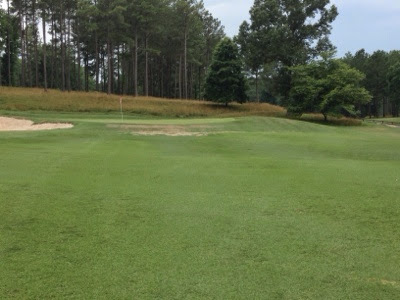 Historically the Foundry does not see many golf rounds during July and August Therefore,the transition time from Rye to Bermuda grass provides a ample time line for us to grow in some of the spotty areas. 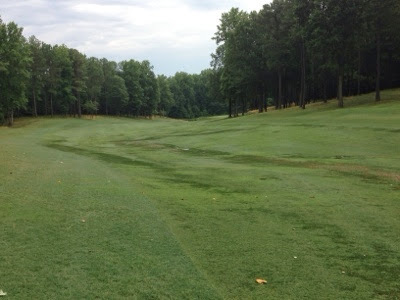 Here are some pictures showing areas where the rye grass has burned out faster than the Bermuda grass has recovered. These areas will continue to fill in. We choose not to sod every blimish since these areas are stronger in the long run than sod will be. When sodding it does not give enough time for the sod to mature before overseeding takes place again during September. Here is a picture taken of 14 fairway. This fairway receives full sunlight. 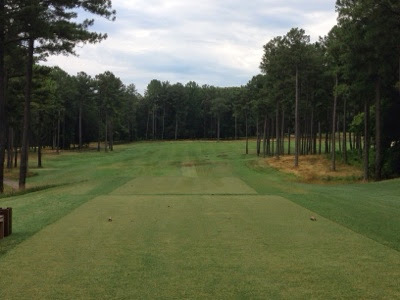 It is about 2 weeks ahead of the fairways on the front side due to a better growing environment.